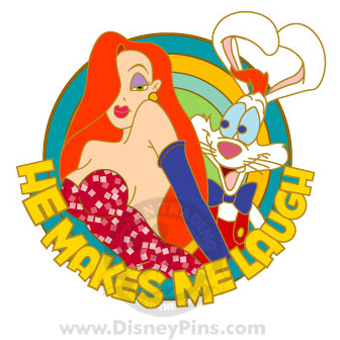 Disney held a castmember Create-A-Pin contest for pin designs. 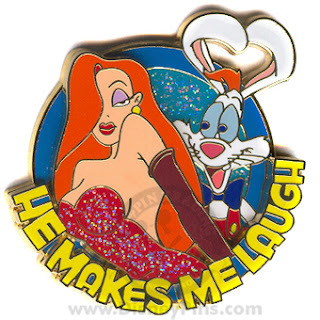 This pin was a little different in concept art, with the background originally being different colors. The pin released featured a blue glitter filled background. 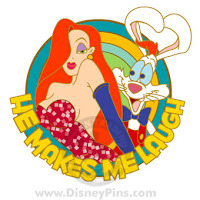 Jessica and the "He Makes Me Laugh" banner are pin-on-pin. Roger and the glitter background are the bottom layer.